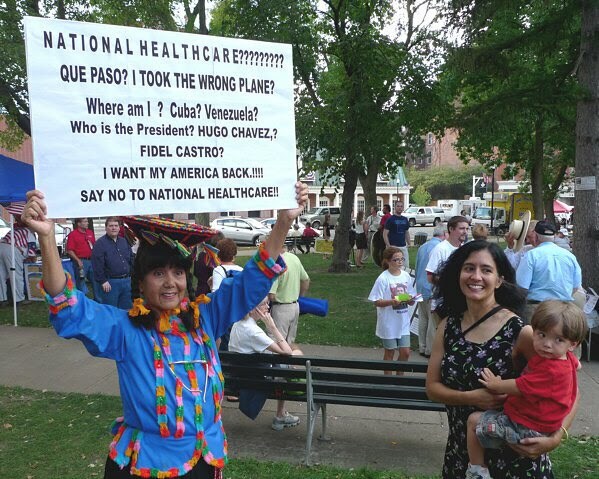 Bad news for Barack Obama and the Marxist-democrat party. Despite what the nonsense their media partners are trying to sell the American people, a significant number of Tea Party Patriots, nearly half, are not Republicans. 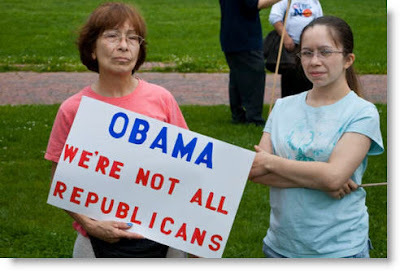 The Winston Group conducted three studies from December 2009 through February 2010 and fond that while 57% of the Tea Partiers are indeed Republicans, 28% consider themselves independent and 13% consider themselves democrats. WASHINGTON DC (April 1, 2010) — Tea Party activists may be ardent supporters of economic conservatism but are similar to the overall electorate when it comes to economic priorities, according to the findings of a new report released by The Winston Group today on the political movement. In one of the most extensive looks to date at just who Tea Party activists are, how they think, and the ideas that matter to them, the report found that 17% of the people polled considered themselves “part of the Tea Party movement” and more than four in ten Tea Party members said they were either Independents or Democrats. The study also found Tea Party members are more likely to be male by a 56-44% margin, slightly older than the electorate as a whole and middle income earners. 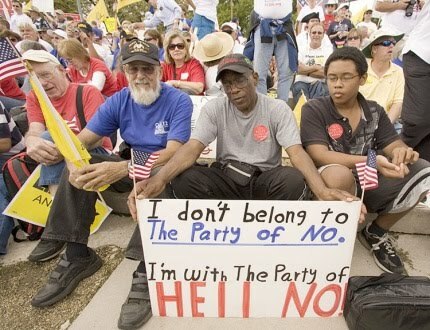 When it comes to issues, the research found that Tea Party activists espouse a strong economic conservatism. In the February 2010 New Models study, 36% of Tea Party members name the economy and jobs as their top issue with national deficit and spending close behind at 21% — over twice as high as the overall electorate. However, when given the choice in the January survey, Tea Party members favored “reducing unemployment to 5%” over balancing the budget 63-32%, which closely reflects the overall electorate (64-32%). While Tea Party members prioritize job creation over deficit spending and tax issues, they value economically conservative policies because they view them as a means to reducing unemployment and improving the economy. Over 4 out of 5 Tea Party members (85%) say tax cuts for small business will create more jobs than increased government spending on infrastructure while the overall electorate prefers tax cuts by a more modest 61-31% margin. Couple this with the fact a significant number of these Patriots are minorities, Blacks, Hispanics, and others, and one can see the Marxist-democrat party’s once reliable voters are deserting them en masse. We Ask America finds that “[t]he Land of Lincoln may be home base for President Obama, but it joins other Midwestern states having slightly higher disapproval-over approval-ratings.” A majority of Illinois registered voters disapprove of their former junior Senator and former congregant of Trinity United Church of Christ. The poll was conducted on March 10 but since Barack Obama’s national approval has not increased in the last month, it’s unlikely that he’s performing any better in his home state. We Ask America also finds longtime Democrat Party hack David Obey’s re-election efforts possibly in jeopardy. Over 53% of the voters in Wisconsin’s 7th Congressional District are less likely to support Obey’s re-election because he voted in favor of Obamacare. Governor Palin endorsed his likely opponent Sean Duffy in mid-February and assisted him with a successful money bomb. We used to call folks like these “Reagan democrats” and they helped propel Ronald Reagan to two historic landslide election victories in 1980 and 1984. Do we now call them Palin democrats? Ronald Reagan won 49 states in 1984 when he was re-elected, with his opponent, Walter Mondale, only wining his home state (by 2 points) and the District of Columbia. 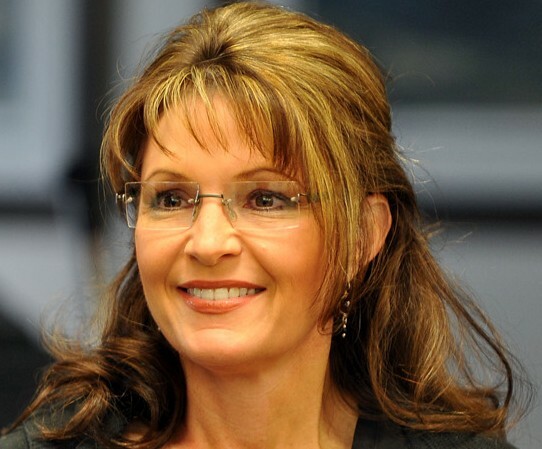 Will Obama even be able to carry Illinois against Sarah Palin in 2012?